When you download Windows Updates, sometimes you’d require to restart your system in order to complete those updates. But, by default, there are no notifications that will show you that a restart is required to complete the update. If you’re in middle of work, and if you system restarts without notification, you will lost your session and the work you’re doing. To avoid this, you can enable Windows Update restart notifications. These notification (as shown in below screenshot) will tell you in advance, that a restart is required to finish installation of Windows Updates. After getting the notification, you can easily save you work and restart your system so that updates are completed. Here’s how you can enable/disable Windows Update restart notifications. FYI: These steps are illustrated on Windows 10 V1809. 2. In the Settings app, navigate to Update & Security > Windows Update. 3. Now in right pane of Windows Update, click on Advanced options link. 4. Under Advanced options, set Show a notification when your PC requires a restart to finish updating option to On to get Windows Update restart notifications. This setting is immediately saved and is in effect. Now let us see, how to do this via registry manipulation. 4. Finally, set the Value data to 1 and click OK. Close Registry Editor and reboot to make changes effective. After restarting your system, you should start receiving Windows Update restart notifications. 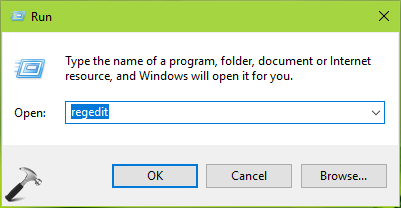 In case, if later you want to disable Windows Update restart notifications, set the RestartNotificationsAllowed2 DWORD to 0 or turn Off the respective option in Settings app.